STARKVILLE, Miss. --The executive vice president and provost of the University of Western States in Portland, Oregon, has been named head of the Mississippi State University Department of Food Science, Nutrition and Health Promotion. Marion Willard “Will” Evans begins his position December 1. A master certified health education specialist and certified wellness practitioner, Evans brings experience and leadership in health promotion and wellness. “We are excited to welcome Will Evans to lead the Department of Food Science, Nutrition and Health Promotion at Mississippi State,” said George M. Hopper, dean of the College of Agriculture and Life Sciences and director of the Mississippi Agricultural and Forestry Experiment Station. “Evans is a proven leader who will further strengthen the university’s priority of global food securTeaching families about healthy eating and proper food use is a vital element of food security, Hopper explained. Evans’ background in nutrition and wellness will build on the department’s research program, which seeks to make food safe and accessible while training the next generation of leaders, he said. It offers an undergraduate degree in food science, nutrition and health promotion with five concentrations, as well as a degree in culinology. Master’s and doctoral degrees are also offered through the department, including a distance master’s degree in health promotion. 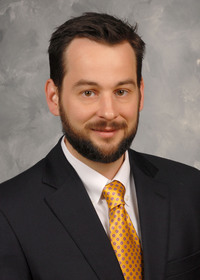 Evans earned his bachelor’s degree from Indiana University and his doctoral and master’s degrees from the University of Alabama. He received a doctor of chiropractic degree from Logan University. 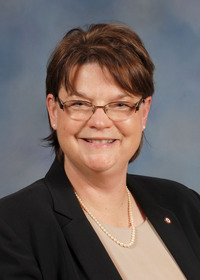 To find out more about the department, visit http://www.fsnhp.msstate.edu.